Welcome back to our Firm of the Future profile series about thriving firms who are benefitting from the cloud and QuickBooks® Online Accountant to better serve clients and find new revenue opportunities. In this new article, we spotlight Lynda Artesani, owner of Artesani Bookkeeping. Shauna Maher: Tell us about your accounting and/or tax practice. Lynda Artesani: I started my bookkeeping business back in 1999 when I lived in Rhode Island. I had a full time job as a property manager with a boss that ran me ragged. It was, quite frankly, a very thankless job. I decided to venture out on my own doing the part of the job I loved, the bookkeeping. Back then, I had just started using QuickBooks because we had an issue with unbalanced balance sheet in One Write Plus – remember that? Other vendors told me about QuickBooks and how much better it was, so we switched. I have never looked back. My practice consists of all types of small businesses. For some, we do it all and for others it is more of a partnership. And, it is not all just bookkeeping; I am constantly looking for things that will make my client’s life easier. Another big chunk of the work we do is cleanup work. Many clients come to us with a bit of a messed up file. We clean them up and educate them as to why it happened. Sometimes they stay on in a bookkeeping support capacity. SM: How long have you been using QuickBooks Online Accountant? LA: Since it first came out. I really disliked QuickBooks Online (QBO) at first. It didn’t seem to fit my clients’ needs. I did notice about five years ago that almost every call I got from the leads on the Find-a-ProAdvisor site started to be clients who needed help with QBO, not desktop. My business really shifted when I hired my daughter to work with me and she wanted to only work on QBO clients. She hated desktop, so that is how we divided the work. The lightbulb went off for me because she was completing the accounts much faster than me! That’s when I started to roll my sleeves up and get serious about QBO. I instantly fell in love with the automation and lack of data entry. I am actually able to service more clients now because of the apps and automation. SM: What convinced you to make the move to QuickBooks Online Accountant? LA: I love the program! The fact that I can easily access all of my clients from one screen is phenomenal. The new work tab is helping me delegate work to my staff, give them tasks and deadlines. I love that I can securely share files with my client’s in the program. SM: What are your goals for your practice this year? LA: To grow. I would like to double my sales. I have already hired a new part-time person, so onward and upward! I would love to have a staff in place to do the day-to-day bookkeeping so that I could focus on the client clean up and training accounts, but that is a few years down the road for me. SM: What’s your favorite away-from-the-office place to get work done? LA: My daughter’s house. That way I can visit my grandson, Shane. SM: Where’s the craziest place you’ve done work for a client? LA: I don’t know if it’s crazy, but on a yoga retreat. Because I own the business, it is hard to shut down and shut off. I try really hard to always be available to my customers. SM: What’s your number one timesaving tip? LA: Use the apps! I think people are leery of the cost of them. I can tell you that $20/mo. for Hubdoc, for example, is worth every penny. I don’t have to call a customer for their bank statement. I can import the bills into Hubdoc and have them coded to be moved into QuickBooks without me having to do one bit of entry. I love Plooto for paying the bills and having the customer choose what needs to be paid and when. Invoice Sherpa is a great tool to automate your accounts receivable. SM: When you’re not working, what’s your favorite way to spend your time? LA: Of course, I love to do yoga – I am a yoga teacher – or go to the beach. We have a private beach club where I live. I love to go there and take a long walk with my husband, then have lunch at the restaurant and just veg out on a beach chair gazing into the Gulf of Mexico. It’s nice to be at a place where there is no computer screen and no phone calls – just pure bliss. I do not do this far enough as I should. SM: What advice do you have for peers that are still on desktop? LA: I know it is hard to change and it takes time to adapt, but once you get your feet wet, there is no looking back. I cannot stress enough how great QBO is. The bank feed feature alone saves time. I highly recommend taking the QBO certification to start. There is so much to learn just from the test. Next, convert your own company file to QBO to practice on. If you stay in desktop, you will stay in the past. The Millennial’s want the automation and the ability to work anywhwere. The generation after that is the same. These are your new business owners. If you want to service them, QB desktop will be a hard sell. Change is good! To sign in to your QBOA account (or to sign up! ), click here. 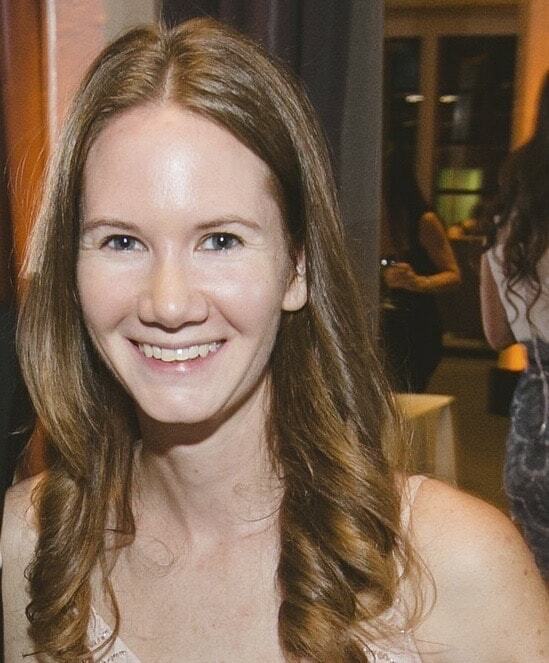 Shauna Maher is a communications manager with Intuit's Accountant Segment. She develops content and engages with accounting professionals across all of the Intuit Accountants social media channels.